It is often said that jazz is essentially an American creation, but this belies the surprising, often crucial role that Europe has played in its development and popularity throughout the world. 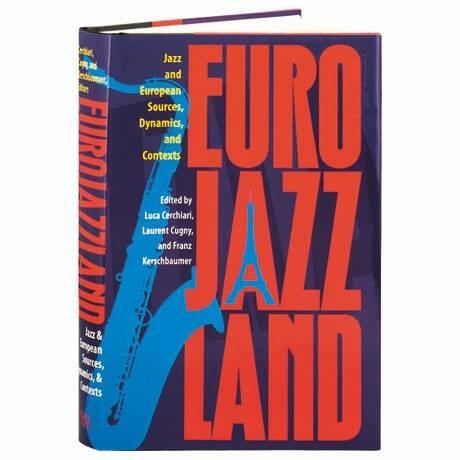 In the 19 essays here, Franz Kerschbaumer delves into the influence of Celtic music on jazz, John Edward Hasse chronicles Duke Ellington's career-spanning engagement with French audiences, and Bruce Boyd Raeburn highlights Hispanic contributions to New Orleans jazz. Herbert Hellhund anticipates future trends in the genre, while Luca Cerchiari brilliantly uses the 16th-century ballad "Greensleeves" and Joseph Kosma's 1946 standard "Autumn Leaves" as touchstones of jazz history.